Macmillan Children’s Books communications director Alyx Price on why something like The Gruffalo comes along "a couple of times in a generation." When you first published The Gruffalo, did your expect the book would become the brand it is today? The page proofs for The Gruffalo were in the office when I arrived from Waterstone’s Booksellers in November 1998, having just edited the second edition of their guide to children’s books. I felt that I had read every picture book out there and The Gruffalo was certainly different; both the story and the illustrations had immediate impact. March 1999 was the perfect month to publish for the press Easter roundup reviews and we received blanket coverage and many showed a Gruffalo illustration alongside. That’s when we really knew this was a character that was about to become a favourite. Why do you think the book has remained popular for such a long time? The story of the mouse and his Gruffalo creation (or not!) is based on a traditional tale and everyone loves a David and Goliath story. But it is in the telling that the picture book excels. It is witty, clever and stands the test of time being read over and over again, and of course all the elements of The Gruffalo are great to chant and remember. Along the way each of the animals develops its own character, brought beautifully to life by Axel Scheffler. The deep dark wood feels a real place to visit and he brings his own humour to the story with all the background detail too. We do many events where children not only know all the words and recite the story along with Julia Donaldson, but they also believe the Gruffalo to be real. How do Julia and Axel complement each other as the UK’s number one picture book collaborators? The partnership that Julia and Axel have is certainly a unique one, working together in their books they create a verbal and visual place that their readers can believe in. Both of them have such attention to detail that the worlds within their stories can really exist to their readers. 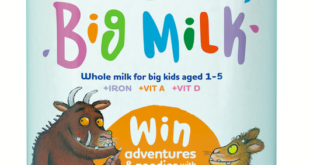 How rare is a success like The Gruffalo in children’s publishing? 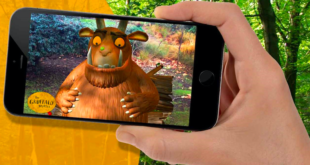 The success of The Gruffalo, first as a picture book and now working with Magic Light Pictures in a wider brand context, is something that comes along maybe only a couple of times in a generation. 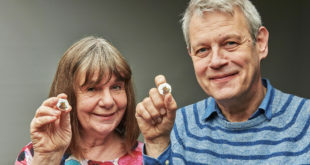 At Macmillan, we feel proud and lucky to have published the original storybook and to still be working closely with both Julia Donaldson and Axel Scheffler as we introduce new children to The Gruffalo and their books in what we do.